Are you over 50 and wonder if the benefits of deadlifting apply to you as well? The truth is that deadlifting benefits can apply to anyone of any age. However, today, let's focus on men and women over 50. If you are still in your fifties, then you're young. You can still transform your fitness by starting a 12 week beginner deadlift program to reboot your fitness. Build good habits like three real food meals a day, and strength train to reap the powerful benefits of deadlifting. 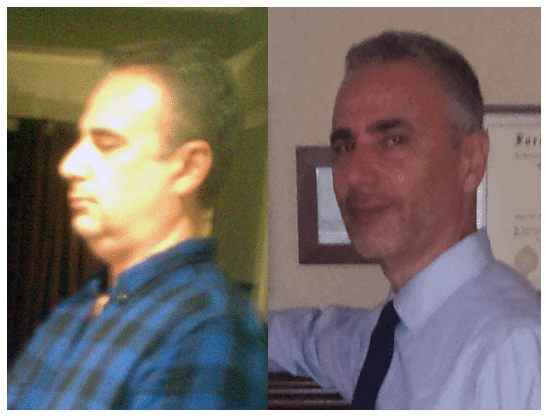 I started making significant changes to my lifestyle at 55 to fight depression and obesity. It is never too late, but do not keep putting off the benefits of deadlifting and strength training until tomorrow. What you can start doing today, start, there is no reason to delay. Obesity, depression and lethargy ruled my life in June of 2012. I seesawed between 250 and 275 pounds, living alone and morose, it was not pretty. 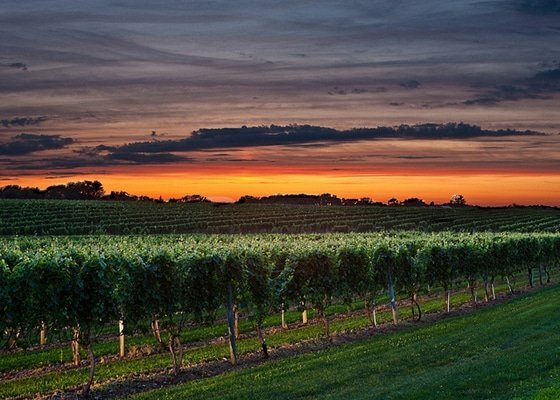 During the month of June 2012, I made a trip to a beautiful winery, Wolffer's Estate in Long Island, which I write about at greater length here . This was an important trip because it helped motivate me in new ways to deal with depression and obesity. The main lesson of the trip was that I should not give up on myself, nor on my body. Anyone over 50 knows how your body starts to change in ways you do not want to see or experience. I saw the neatly organized rows of grape vines glistening in the sun with new grapes. A vast estate filled with these vines, growing from the earth. Spectacular rows of trestles that would find their way to our table as wine in the future. I thought about the owner of such a field. If a storm destroyed his field, could he rebuild? After reflecting on the beauty of the vineyard, my answer was yes. I imagined that as long as he owned the field, he would not mourn over this lost vineyard forever. Instead, I believed he'd get up and start working the field to produce wine again. Why is the Best Treatment Center for Depression a Vineyard? What does a vineyard have to do with deadlifts? The analogy is that you are the owner of your field, your mind, and your body. As long as you are still aware, then you are responsible to not give in to obesity or depression. No matter what storm ravaged your field and left it in ruins. You can and must find a way to rebuild. At this point, you must be wondering what any of that has to do with the benefits of deadlifting? When I decided that I had to find a way to rebuild my field, my life, I knew one thing. I had to take massive action and see how far I could push myself to getting back into shape. What would help me go from obesity to fit, to an ideal body weight? If you are overweight or obese, you must get back to an ideal body weight. The first rule is to start with real food and an effective weight loss plan to get fit over 50. You must clean up your food to make dramatic changes in how your body looks and feels. The foundation of feeling better starts with the fruits of the earth that I viewed at Wolffer's Estate. Vegetables, fruits, whole grains and legumes, those are your staples to transform your body. Let everything else be ancillary. Yes, have a piece of cake when you are celebrating with your friends and loved ones. However, eat real food, and not processed, most of the time. Add some protein or a sweet potato and voila, your body and mind will respond. And of course, celebrate your achievements with wine from Wolffer's Estate, I have been meaning to do that. It is time to go back to Wolffer's, but this time at 170 pounds and fit, instead of 275 pounds and a bowl of jello. What does deadlifting have to do with fighting reducing obesity and even depression? How can deadlifts help you get back into shape? Once you clean up your food, you will lose weight, and have more energy. What I encourage you to do, after clearance from your doctor, is to start weight training. The type of strength training I recommend is not bicep curls, wrist curls or even machines. Curls have their place, at the end of a workout. But they are not the foundation of strength training. The kind of weight training you want is core full body strength training like deadlifting. As well as squats, clean and presses, pushups, pullups, barbell rows, and bench presses. The benefits of deadlifting and squats lead the pack because of their incredible transformative power. When I started to deadlift and do squats, I could see on a weekly basis how my body was changing. Fat melted and I felt that I could deal with depression more effectively. I could even feel the difference the next day and week as I started to get leaner. My face changed so much that people thought I was my younger brother, despite my natural gray hair vs dyed hair when I was heavier. It is harder to deadlift than to do bicep curls. Think about it, with curls, you are just using your arms, barely, squeezing that little bicep muscle. Curls exercise elbow flexion only. Elbow flexion, is a single joint movement, the elbow. Whereas with deadlifts, you are using your entire body. Deadlifts require hip extension, knee extension and ankle plantar flexion. You must bend down to grip the bar, set up, and lift, with the powerful muscles of your posterior chain; your legs, glutes, and your back. The largest muscles of your body. You engage your entire posterior chain, from your feet, calves, hamstrings, quadriceps and glutes. Your core, your arms, your entire body will feel the effects of deadlifting. Can you still move your body well enough to start gaining advantages from the benefits of deadlifting? If yes, I strongly encourage you to deadlift, do push ups and squats before any other exercises. Because they are hard, they are intense and engage more of your body. They will give you the fastest results to transform your physique. You cannot beat the benefits of deadlifting and squats to sculpt your body. As far as deadlift gear goes, deadlifting requires a small area and a minimum amount of equipment available in most gyms that have free weights. Or you can set up a home gym in a small area of your basement or garage with these tools for deadlifting and fitness. I am still a work in progress, but the remarkable benefits of deadlifting have helped me change my body and change my life. I hope you will experience the same. See the infographic below why you should deadlift instead of only doing curls. 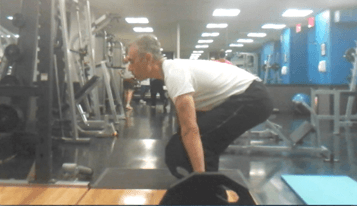 Benefits of Deadlifting After 50 – A Simple and Powerful Way to Transform Your Physique from Fat to Fit Fast!